This learning/training solution will help Instructional System Design (ISD) practitioners better understand the theoretical underpinnings that support the training solutions that they are providing to their customers. This training environment makes learning, recalling, and applying information fast and convenient for ISD practitioners. If you are new to Instructional Design, we encourage you to explore freely. If you have come here with a specific interest in mind, use the search feature to filter the information and make finding relevant content even easier. This app is more than just a container of valuable information. Check out the Blog for additional resources and to engage in a conversation with other ISD practitioners and students. 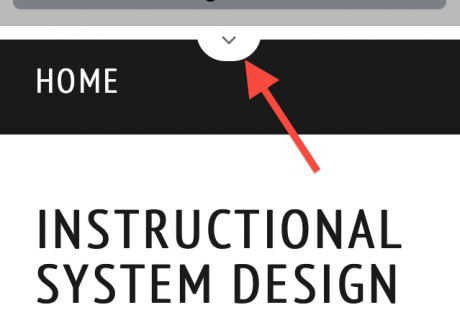 Explore this web app through the main navigation menu or get started with the buttons below. If you are accessing this app on a tablet or computer, the main navigation can be found on the column to the left. 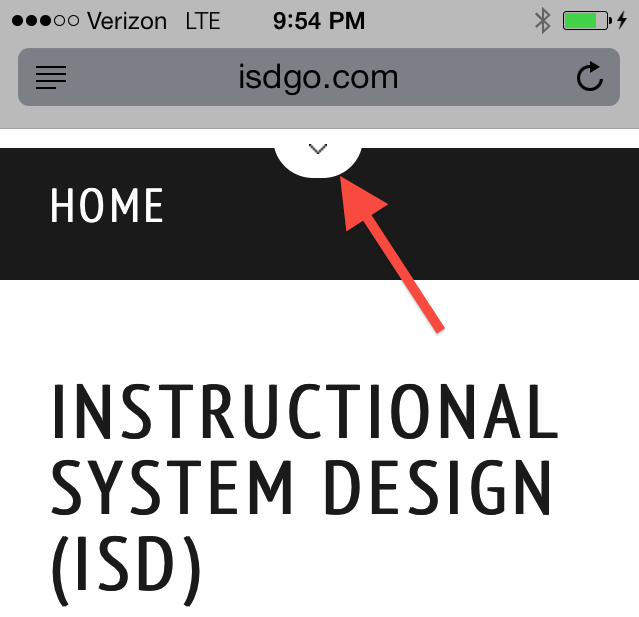 If you are accessing this app on a phone or Kindle, the main navigation bar can be accessed with the arrow at the top of the screen. If you have any suggestions for updating our content please send us a message or fill out our survey.